So one of my favorite shows "Lost" just had it's series finale last night. Overall I think the series is one of the best shows to air on television and I recommend that everyone watch it. In fact, if you haven't seen it, you are so lucky because you have 6 seasons of amazing television waiting for you. This is a review of the finale so don't read it if you have not seen it. My first reaction once the show ended last night was... what? I was more confused than anything. This being the final episode in the series, I was expecting to finally get some solid answers. But of course this is Lost, and they are known for leaving the viewers with more questions than answers, so I guess I shouldn't have been surprised. Since there was not a straight forward ending, I was initially disappointed. However, the more I thought about the finale and analyzed it, the more I began to understand it and appreciate it. What Lost did was end the series in a way that was not exactly clear and instead is open to many interpretations and theories. This is actually the best way to do it. If you give a definitive answer, only those who want that answer will be happy. Everyone else would be disappointed. But if you leave it open, everyone can think about it and decide what happened on their own. So what is my theory? I think at the end, all the characters in the room are basically at the "gates of heaven" or the place right before you go to the after life. I think the good characters made it there and were able to go through, but the bad characters were not able to go through. This is a theory I haven't heard from others yet. For example, Ben Linus stayed outside the church. I don't think this was really his choice. I think he was not able to go in with them or pass through because he had been very bad over the years. Some other bad characters also were not present. So were all the people in the room dead at that point? I'm not sure. It seems like some of them were, but maybe some were not. If they were all dead, then this had to take place some time further in the future. Yet some of these characters did not age, so that is kind of strange if this is the case. Overall I thought the finale was good, but a few things I didn't like. I was wondering why Sayid ended up with Shannon. What happened to his long lost love Nadia? Shannon was just a short fling on the island. His whole purpose was to get back with Nadia, so the choice to put him with Shannon was a poor one in my opinion. Another thing is some characters did not get enough fulfillment. For example Charles Widmore. He was an important character and we really never figured out what his angle was. I mean he finally gets back to the island and he is fighting against the man in black. Then he whispers something to the man in black and Ben shoots him. And that's it for him? We should have at least gotten a better understanding of him and his purpose. One thing I am confused about is why the man in black turned into the smoke monster when he was thrown down the waterfall. I believe he was killed when he went down, but what turned him into the smoke monster? Desmond and Jack went down there too, but remained human. I was worried when Desmond uncorked the energy of the island and all the powers were lost. It felt like the magic of the show disappeared in that time. I was glad to see it restored when Jack put the cork back in. However I don't like that he sacrificed himself to do it. I think he should have survived and been Jacobs replacement. So we understand that Hurley took on the role of Jacob with Ben as his 2nd in command. They never really showed what happened on the island after that time. Who was left? Was there any negative energy or evil left on the island? If not, what is there to protect? I was kind of hoping that Jack would take over as the next Jacob and someone else would take over as the next man in black. I'm thinking Sawyer would have made a great nemesis for Jack as they battled so much though out the season. I think it would have been a great way to end with those 2 sitting side by side, staring out into the ocean and Sawyer saying how he is going to kill Jack one day. The scene would be much like the one with Jacob and the man in black before. So overall what happened? From what I can tell, the Lost crew was currently living in the side flash reality and they were slowly remembering their experience on the island. I think their different realities kind of merged together into the sideways reality. What is real, what is imaginary, who is dead, who is alive... these questions are still confusing and I'm not sure of the answer. 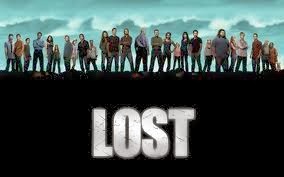 I think the creators of Lost left it like this so we will continue to discuss it and come up with our own theories and interpretations of the story. Overall I had a great time watching this show over the years. This is one of those shows where, after you see the whole thing, you need to go back and re-watch it with a new understanding and perspective. One day I hope to do this and re-watch the entire series. Will there ever be another show as good as Lost? We can only hope. Maybe a spin off or a continuation of the series later on. There is so much potential. I hope we see something more from the Lost mythology in the future.